Day two and I had to layer up. London has been extremely cold and windy during fashion week and I can be waiting a while for a show to start, so keeping warm has been really important. 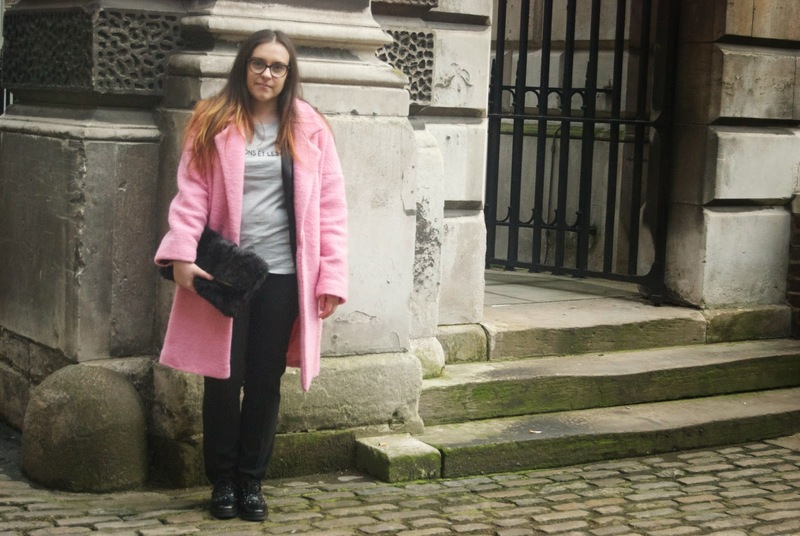 My pink Jacquemus coat had to get an outing, I can just wrap myself up inside it. It’s a great pop of colour for my outfit and became a little bit of a talking point. I’m going to be keeping an eye out for his collection come Paris fashion week. 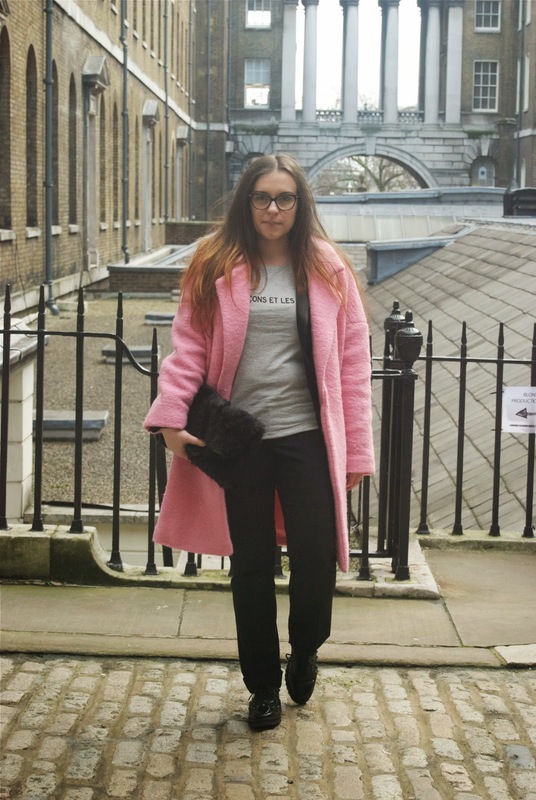 I teamed this up with my new favourite slogan t-shirt by Sezane, my french slogan collection is growing by the day. They just a little bit of interest to your outfit, don’t you think? Every woman should own a classic simple suit, I picked up this one by ba&sh. It’s a great fit, a little bit fitted but not too much. These Mango studded brogues have served me well so far, they are the perfect pair of shoes for work and play. I wear them with a formal suit like this and also with jeans for my down days. The accessories make the outfit right? I’m loving my furry clutch baby from New Look right now. It made for a great hand warmer too!